Last week I received an email recognizing my 17th Anniversary. I hadn’t even realized it had been 17 years since I made a possibly life-changing decision……………………………..
to be a marrow donor. I remember in February 1996, while working at a health fair as part of my job as a Sexual Assault Counselor I was across from another booth at this health fair. This booth was The National Marrow Donor Program through the University of Iowa and they were asking people to sign up to be marrow donors. I listened to them give their presentation enough times that I decided that was something I could do. So, I filled out the paperwork and a couple weeks later had my blood work done and officially joined the registry. 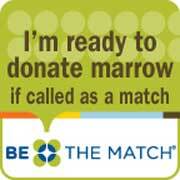 For 17 years, I have been willing to step forward and donate my bone marrow to help save someone’s life. For most of those 17 years, I haven’t given the fact that I am on that list a second thought. Every now and then I may hear of someone getting a transplant and I will think, oh yeah, I’m on that list to be a donor, but most of the time I don’t even think about it. 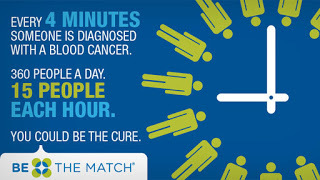 If you have ever thought about being a donor or maybe this post is making you think about it, I encourage you to check out THE NATIONAL MARROW DONOR PROGRAM. Rather than give you a bunch of facts or details, just check out the website and truly consider joining the program. If you are between the ages of 18-44, I highly encourage you to sign up as that is the age group that 90% of the donations are from. 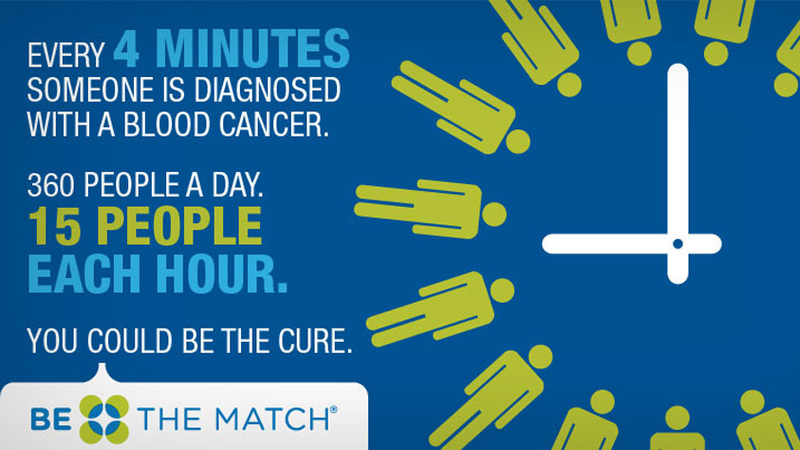 You never know when you could be the person with the perfect match and can save someone’s life. I haven’t been called for 17 years and I don’t expect to be called during the next 17 years, but if I am called, I am ready and willing.